It is a day that marks the New Year across parts of the Middle East, the Balkans, the Caucasus and Asia. It can be spelled Novruz, Nowrouz, Nooruz, Navruz, Nauroz or Nevruz depending on the region. 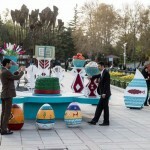 Nowruz is celebrated by 300 million people in places such as Afghanistan, Albania, Azerbaijan, the Former Yugoslav Republic of Macedonia, Georgia, India, Iran, Kazakhstan, Kyrgyzstan, the Iraqi Kurdistan, Tajikistan, Turkey, Uzbekistan, Pakistan and Turkmenistan. Crimean Tatars also celebrate it in Ukraine. What is the meaning of Nowruz? In the Persian language, Nowruz means No (new) and rouz (day). It means new day, symbolising new life, new beginnings. 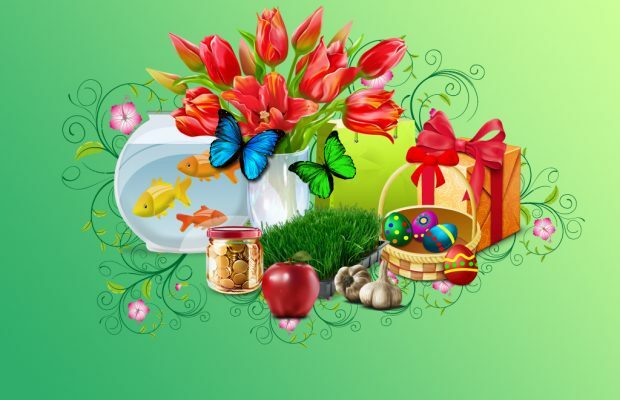 Every year, Nowruz coincides with the start of spring and traditionally celebrates the rebirth of nature. It also coincides with the spring equinox. This depends on the country. But it is not a one-day affair. 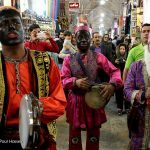 In Iran, Nowruz ceremonies start with a set of rituals of preparing for the new year and the marking the end of the cold season. It starts with people carrying out a thorough cleaning of their homes. On the last Tuesday of the year, it is Chaharshanbeh-Soori or bonfire night. People jump over a trail of bonfires and the youngsters make a lot of noise with firecrackers. 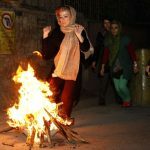 Chaharshanbeh-Soori continues with a ritual later in the night, with people disguising themselves with long scarves and going door-to-door in the neighborhood asking for treats, which are mostly a mix of Persian roasted nuts. The traditional rituals continue on the last Thursday of the year with many families remembering their dead relatives. Nowruz for Persian-speakers is a time of deep respect for the ancestors. 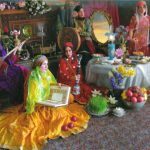 The celebrations culminate with the countdown to the New Year, with families gathering around what is known as the Haft-Seen table. The ritual involves laying out specific objects on a tablecloth, including seven edible items beginning with ‘s’. As these are not eaten until after the festivities, they are often substituted with alternatives, such as ‘sekke’ (coins), ‘sonbol’ (hyacinth) or ‘sabzeh’ (wheat sprouts). The rituals continue until the 13th day of the New Year. Iranians believe that it is a bad omen to stay at home and so they all go out for picnics or barbecues in parks. Where does Nowruz come from? 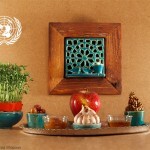 The United Nations General Assembly recognised March the 21st as the International Day of Nowruz in 2010. The year before that it was added to the UNESCO List of the Intangible Cultural Heritage of Humanity. Canada also passed a law recognising March 21 as Nowruz Day. He is a fictional character in Iranian folklore who appears at the beginning of Nowruz. His face is covered in soot and he is clad in bright red clothes and a felt hat. He entertains passers-by by singing traditional songs and dancing and playing his tambourine for a few coins. He rarely knocks on a door, but begins his performance as soon as the door is opened.